Protects passengers and cab components from cargo load. 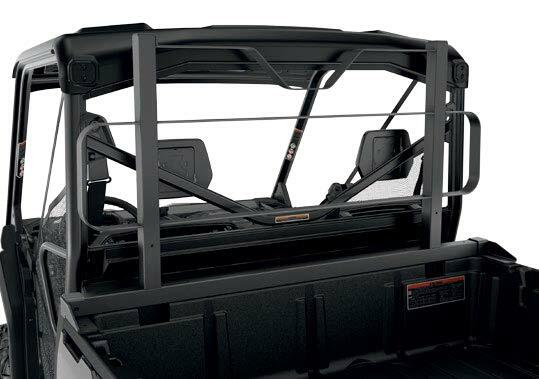 Full rear roll cage coverage offers a heavy-duty steel protective line of defense between your head or cab’s components and the load in your cargo bed. Rack’s open design helps maintain a clear rear view. Compatible with Gear Rail (715003391) and Gear Rail for Stronghold (715004089). Not compatible with Bed Wall Extender.